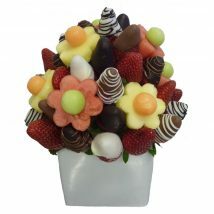 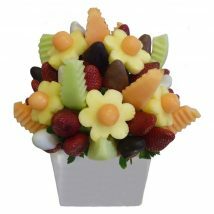 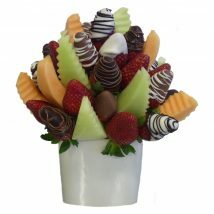 A vibrant and juicy fruity arrangement of fruity treats is the perfect gift for those fun festive occasions. 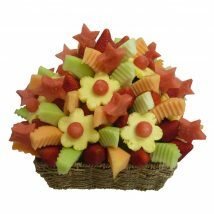 A vibrant and juicy fruity arrangement of rockmelon, honeydew, sweet strawberries and tasty pineapple and watermelon stars arranged in a keepsake ceramic container. 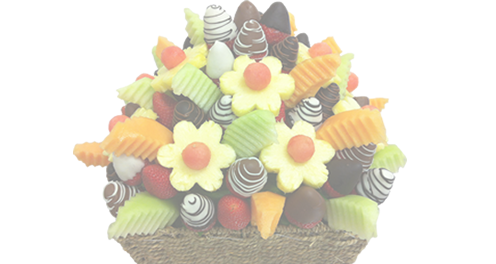 This delicious treat is the perfect gift for those fun festive occasions.